The Mac Factor Blog: Well, What Are You Waiting On? Well, What Are You Waiting On? If you have at least checked out the FNH-USA FNS-9 that came into inventory at strongsidetactical.com, what are you waiting on? I just got mine in yesterday (first one off the shelf, are you jealous?) And, all I can say after literally taking this gun out of the box and handling it for the first time is WOW. Look, I'm a Glock shooter. Been doing it for the better part of 2 years pretty much exclusively. Out of the box the FNS-9 feels better than a Glock. No question. I'm going to be doing in depth tabletop and shooting reviews of this awesome pistol. I guess the easiest way to describe it is "the complete package". You get all the upgrades straight from the factory. No sight pushers or trigger jobs needed. It's all included. 3 Gun Nation knows the deal. Do you? If you haven't ordered one of these already, you need to be doing that today. This pistol definitely opened my eyes and that's coming from a guy who wears the Glock-tinged sunglasses pretty regularly. 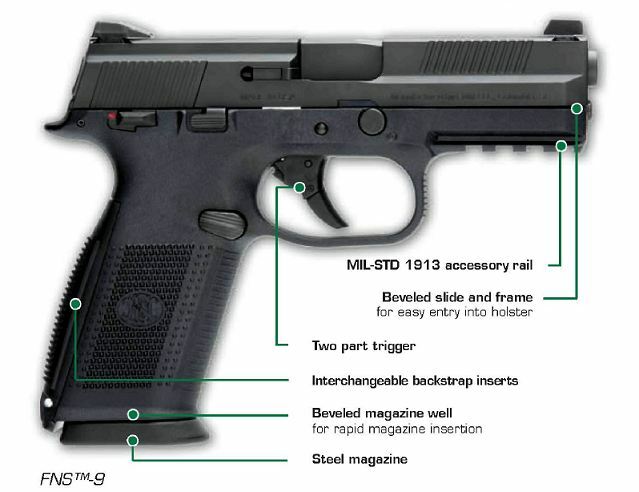 To see the FNH-USA FNS-9 CLICK HERE.